HEATTEC Tubular Heaters can be used for various industrial and domestic applications. They are now available in copper, erectile SS304, denture SS316, SS321, Inconel and Incalloy sheath. We built every technically possible heaters as per your requirement. 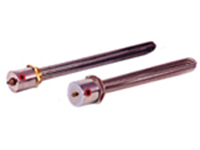 Immersion Heaters are available with screw plug flanges. Air Heaters are available with MS or SS fins. 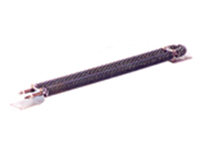 Tubular heating elements with additional teflon sleeving is available for heating corrosive chemicals. Drawing or Sample required for special configuration.